Commercial Cleaning in Toronto: Can it Be Environmentally Friendly? More and more business owners are interested in commercial cleaning services that provide cleaning products that are non-toxic and environmentally friendly. These are cleaning products that are safe for human health and for the environment at the same time.Today, it’s much easier to find these types of service providers, and commercial cleaning in Toronto can be environmentally friendly. The idea is to simply eliminate those cleaning agents that contain harmful chemicals, thus minimizing adverse health effects. Most commercial cleaning products contribute to high levels of indoor air pollution. These products contain chemicals that are toxic, and are known to spread volatile organic compounds (VOC’s). Over time, there are negative health effects on the occupants. Eco-friendly cleaning products are safe for occupants and safe for cleaning crews. They clean just as well as conventional chemical cleaners and provide the same level of hygiene and sanitation. The good news is that some commercial cleaners now offer this service. When hiring a company like We Clean It, commercial cleaning in Toronto can be environmentally friendly. 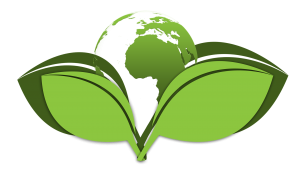 Cleaning crews are committed to working “green”, which incorporates established “green” cleaning standards along with “green” cleaning guidelines. We Clean It provides an environmentally friendly approach on every commercial cleaning project. As well, there is a concerted effort to reduce waste and pollution wherever possible. As a company, the corporate aim is to work towards a much greener future. In terms of cleaning products, the team at We Clean It makes conscious decisions about the types of cleaning products that are used. These products are high performance, professional grade cleaners, some of which are custom-formulated and produced in house. Whatever the scope of the job, We Clean It delivers a spotless and hygienic finished space. And it’s all done with non-toxic, bio-based cleaners that are 100% biodegradable. Used professionally, these products do a superb job, without any ozone-depleting chemicals. In Toronto and around the GTA, We Clean It is an industry leader in commercial cleaning and janitorial services. Amongst the many industry sectors that are served, cleaning services are provided to educational facilities, health care clinics, and real estate offices. Having built a reputation with corporate office cleaning, We Clean It now offers countless services that encompass everything from facility maintenance, to restroom cleaning programs, to water damage cleanup. At the forefront is complete customer satisfaction. Cleaning crews at We Clean It are highly trained, and well practiced in their work. The staff is bonded and insured, allowing company clients to feel safe and protected. Simply put, cleaning crews know how to deliver quality cleaning, and the best possible results. Once contracted, and on the job, We Clean It strives for Total Customer Satisfaction. This is much more than just good cleaning practice. This is a commitment to customers, large and small, that they will be completely satisfied with all of the services they contracted. For a quote or onsite assessment, visit the company website at www.wecleanit.ca or call 416.255.6666. This entry was posted in Commercial Cleaning and tagged Commercial Cleaning Services, environmentally friendly cleaning Toronto, green cleaning services Toronto, professional cleaning service. Bookmark the permalink.